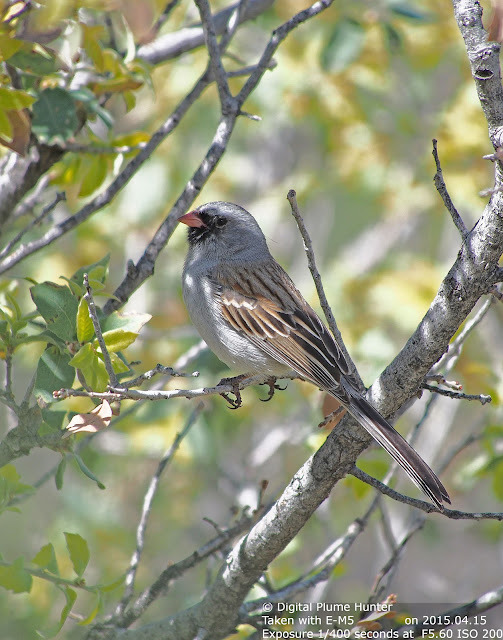 For most of mankind's history, oppression has, not infrequently, stemmed from the institutions of the monarchy (and their partners in the clergy). For this reason, man's struggle for a more equitable way of life has inspired popular revolutions in the US, France, Russia and elsewhere to overthrow the autocratic rule of kings, emperors and tsars. 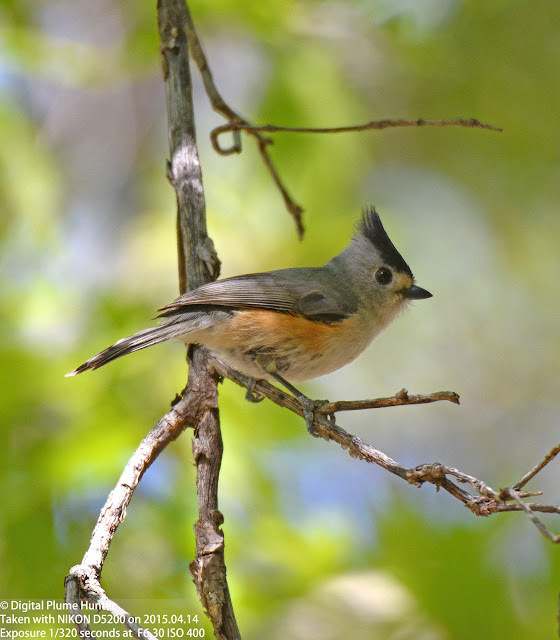 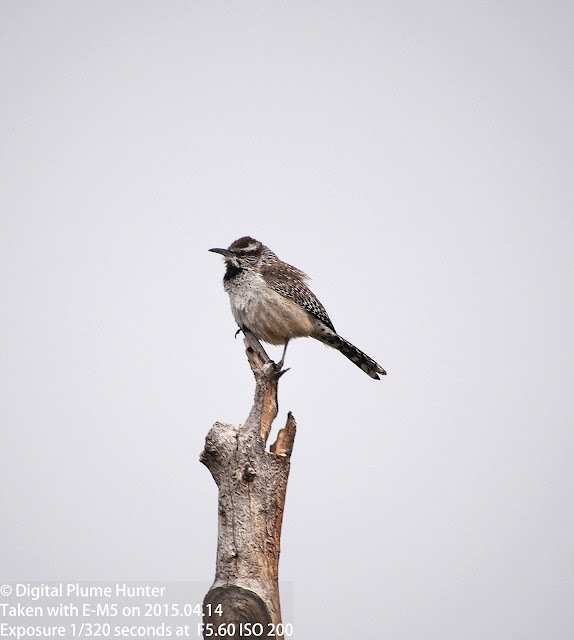 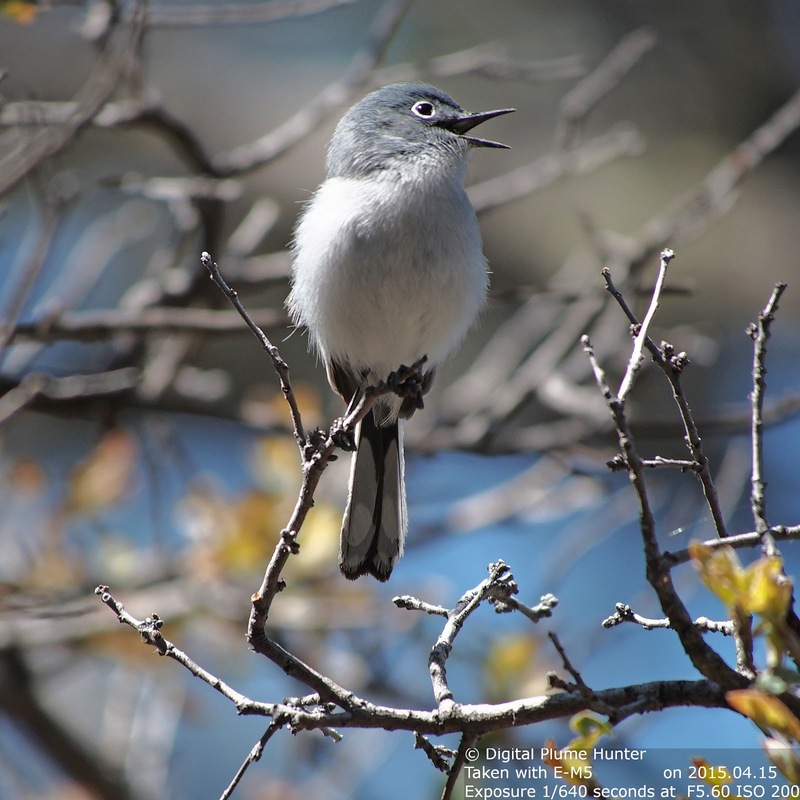 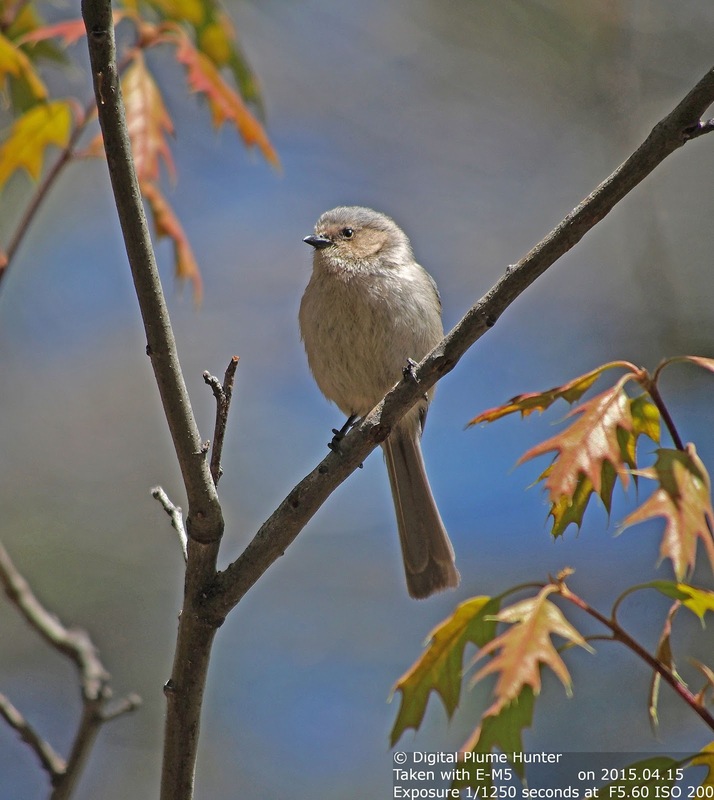 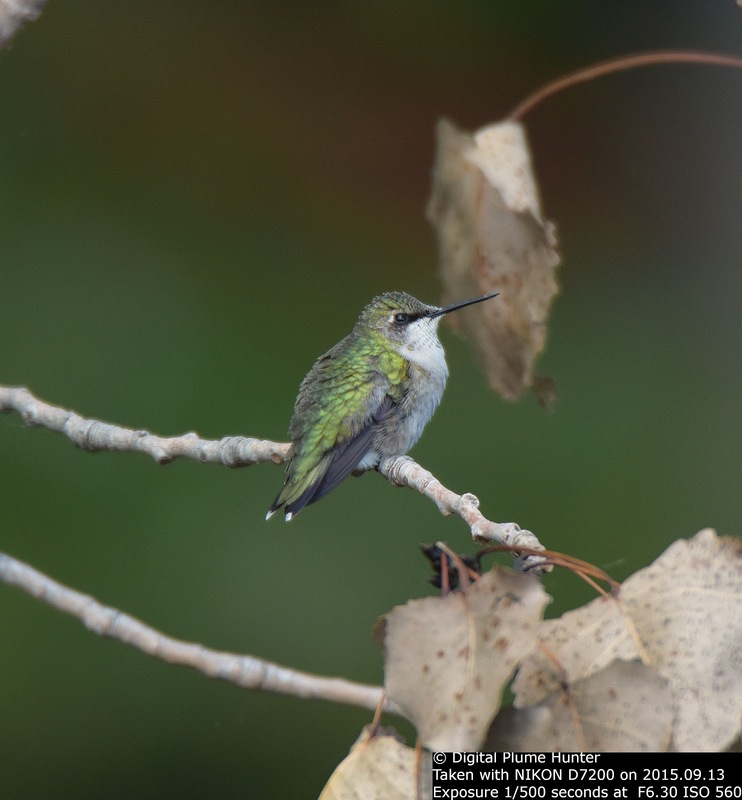 Yet while royalty has been largely abolished in today's world, their namesakes live on in the Aves -- witness species such as kingbirds, emperors, and kinglets (and their partners in the clergy-inspired Bishops, Prothonotaries, and Cardinals!). 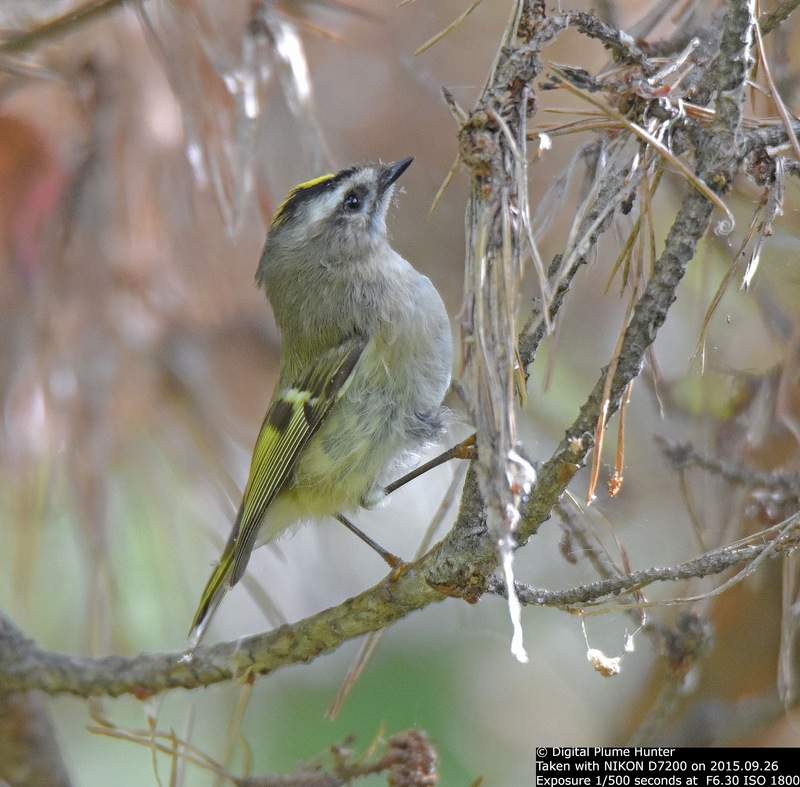 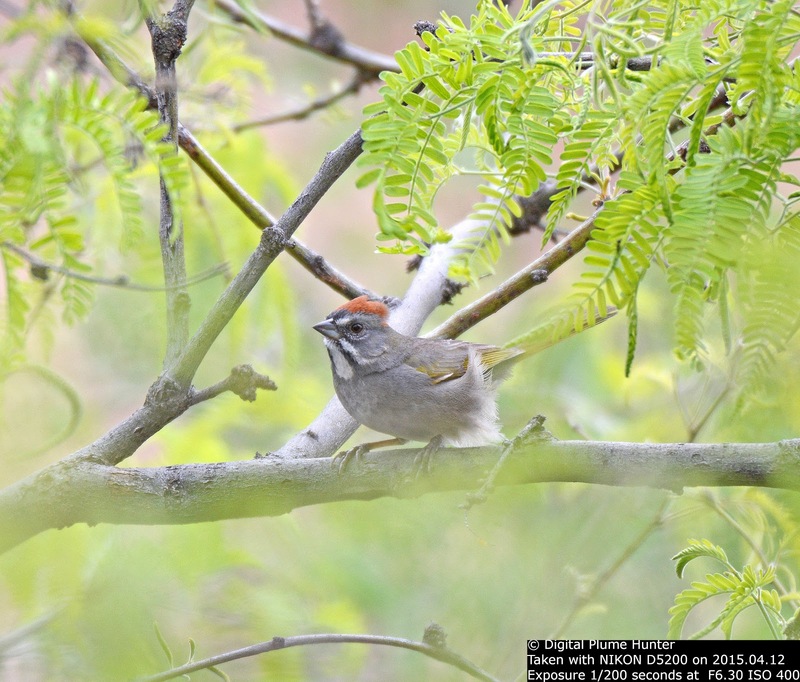 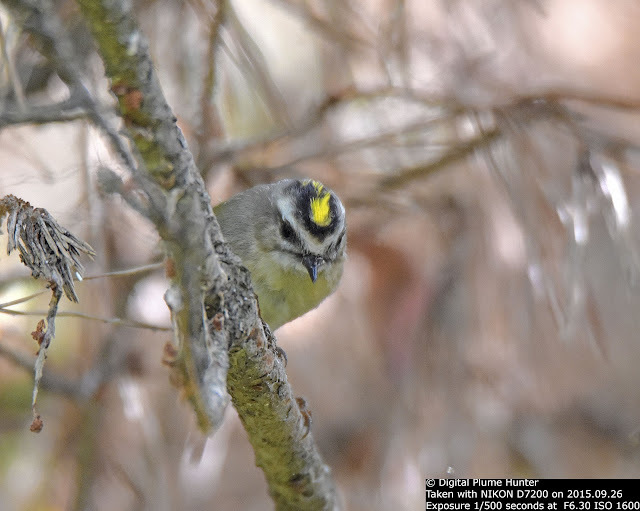 Golden-crowned Kinglet has a huge range in the US -- breeding in the Northeast and the Northwest and wintering pretty much throughout the country excepting Florida. 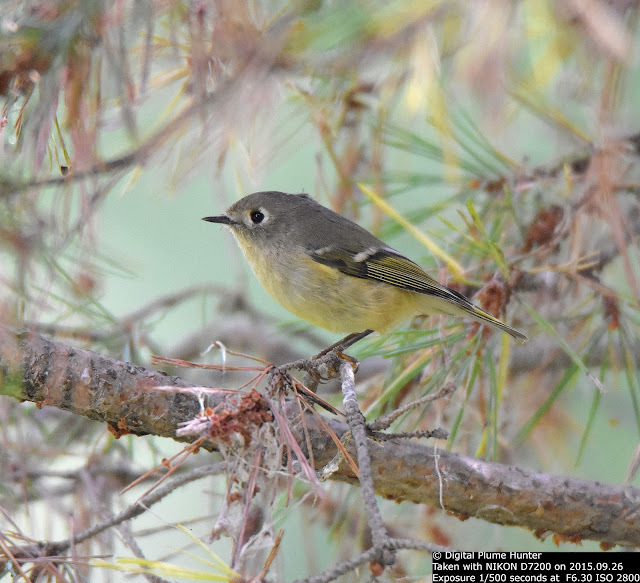 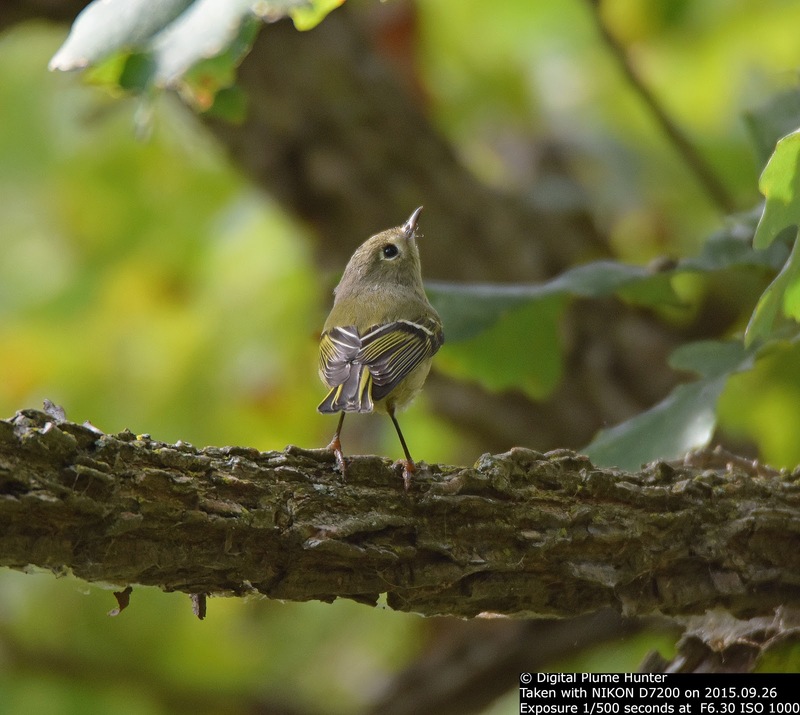 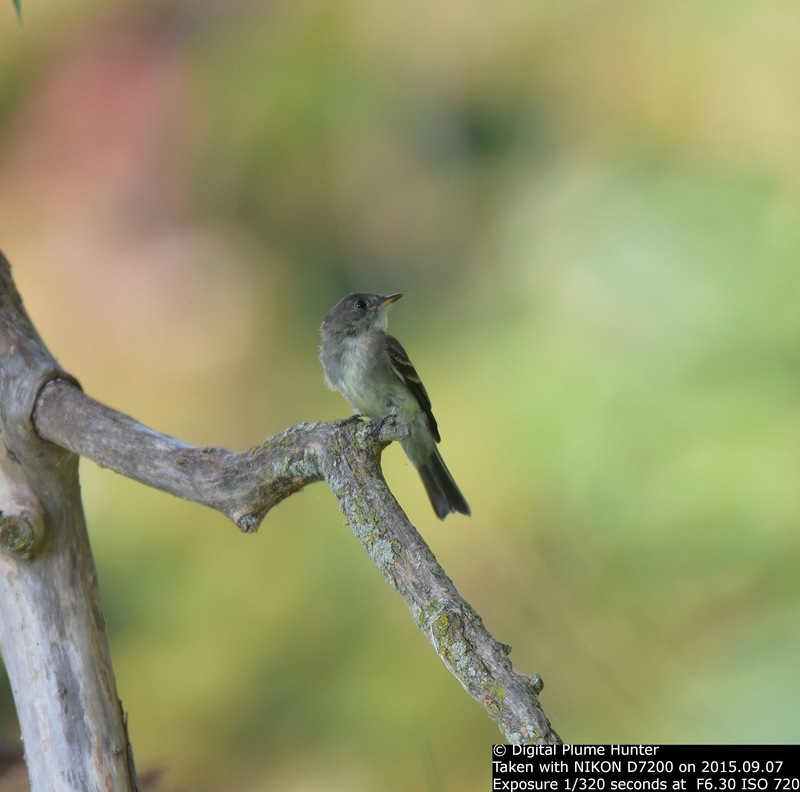 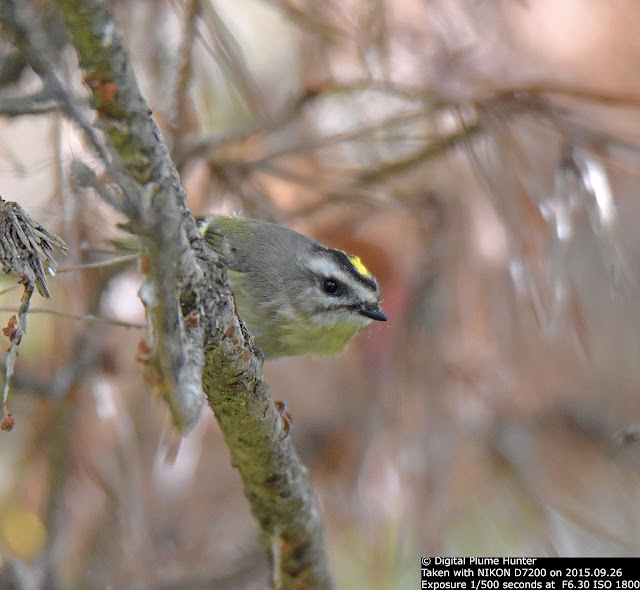 Every year at the "Warbler Mecca" that is Magee Marsh -- these kinglets cause immense confusion in beginning (or perfunctory) birders when these songbirds are seen with the similarly sized warblers flitting through the branches. 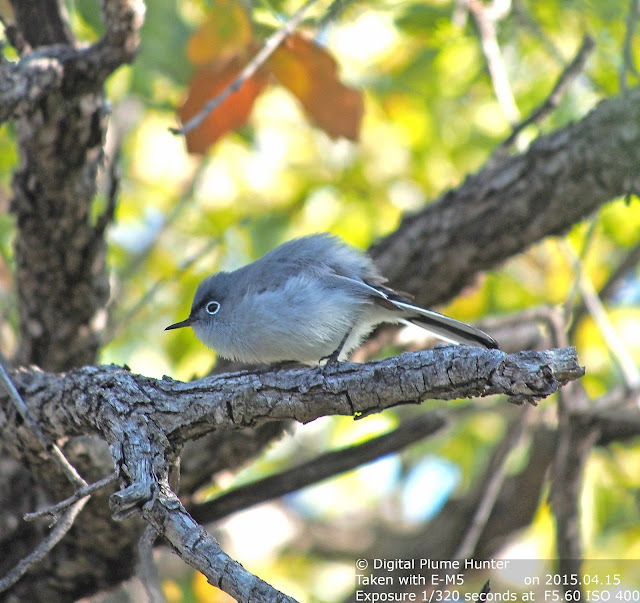 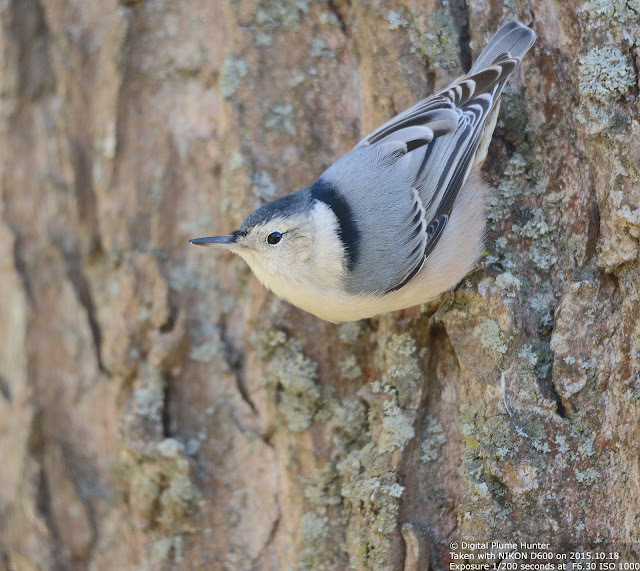 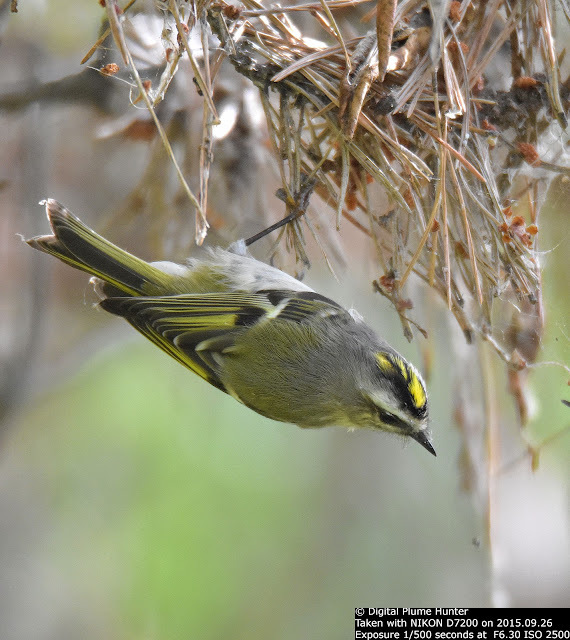 Both species of "little kings" are seen in migration at Lake St. Clair -- and, these distinctive kinglets remind us that their feathered crowns are symbolic of nothing more than evolutionary traits in their propagation; and, not a mark of inequality as so often has been the case in man's history. 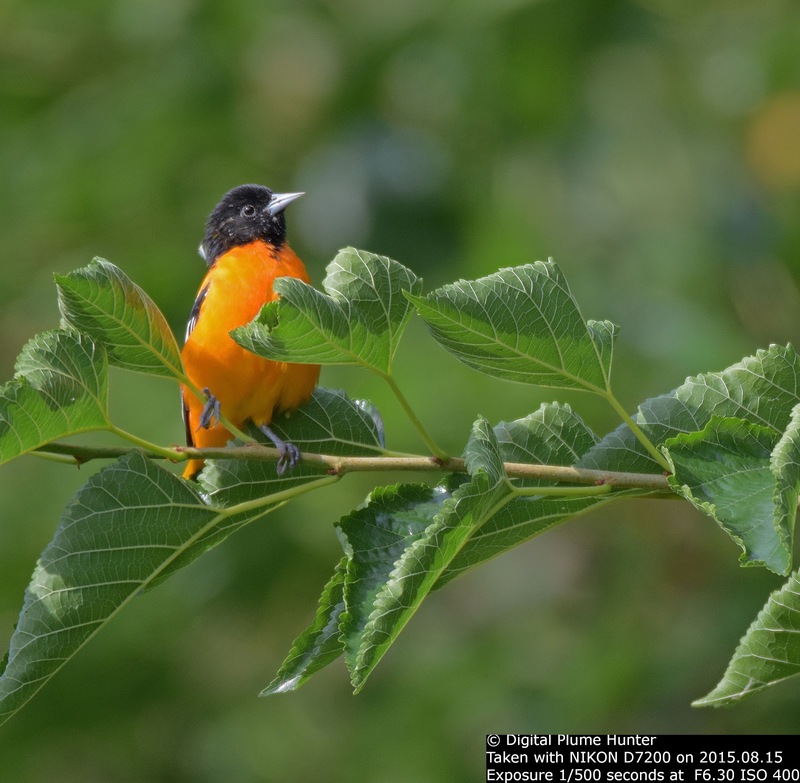 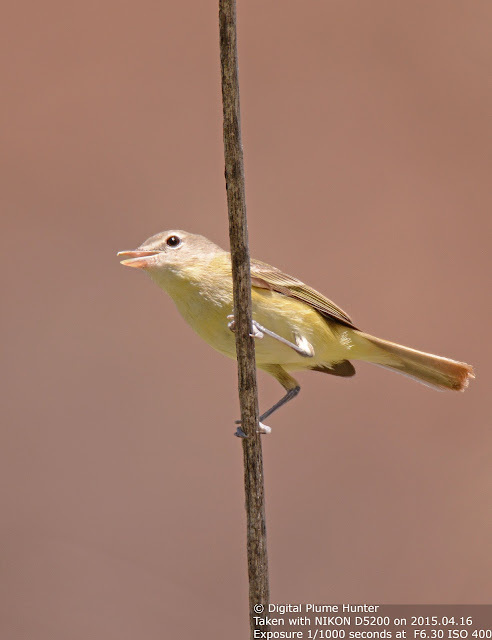 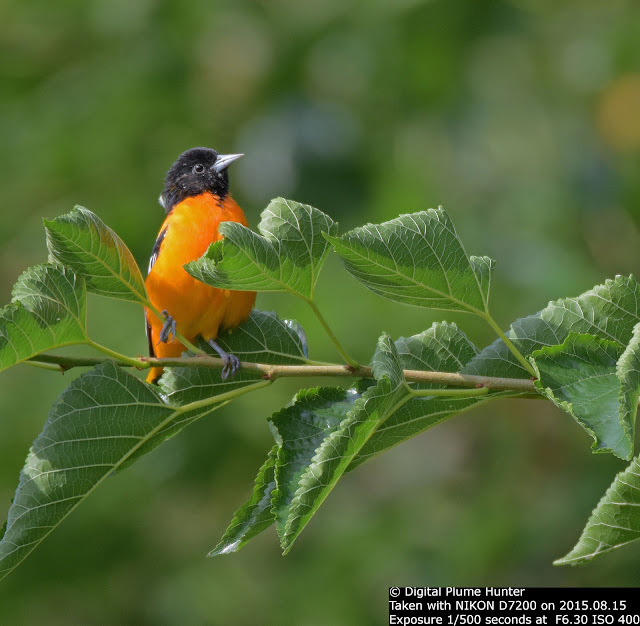 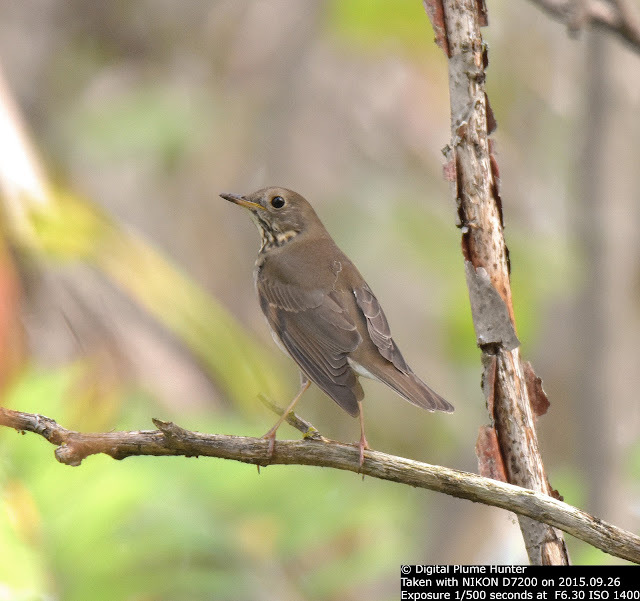 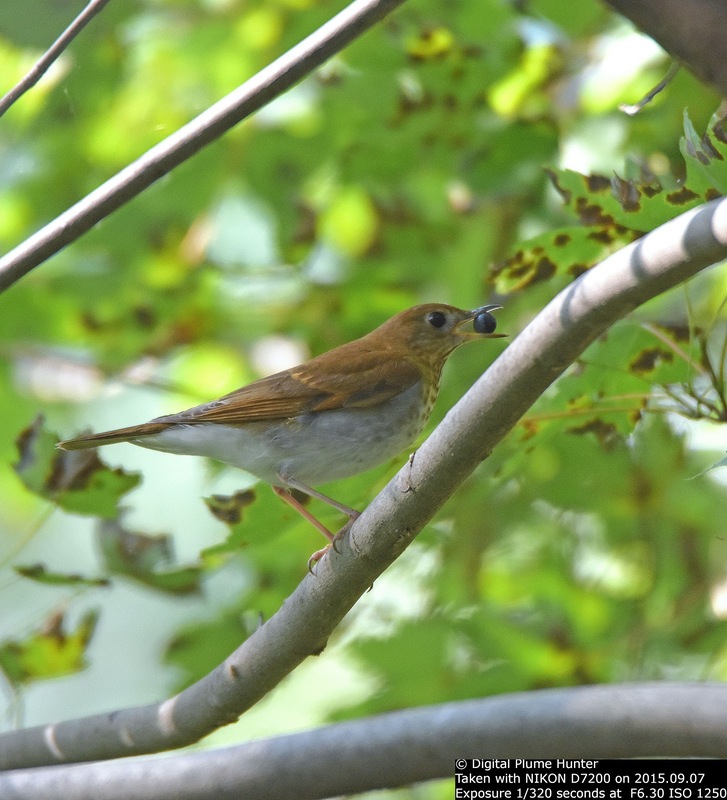 Doesn't it seem that whatever bird species we have in the US -- whether warblers, vireos, tanagers, thrushes or flycatchers -- there's more of them found in tropical America than here? 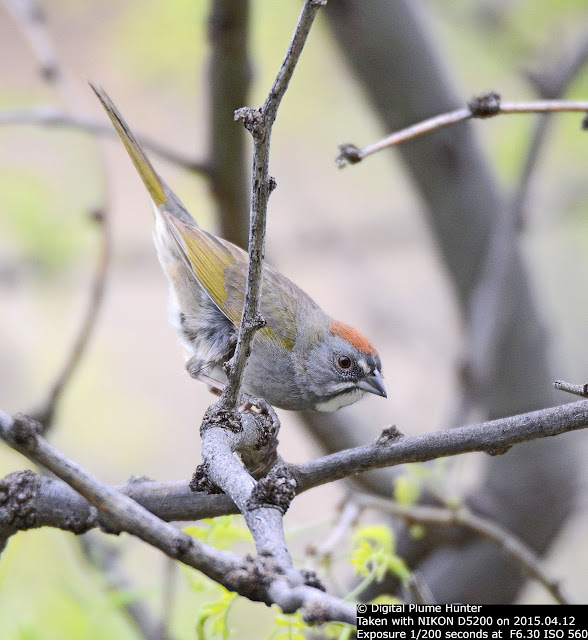 The Green-tailed Towhee is found across much of the Western US. 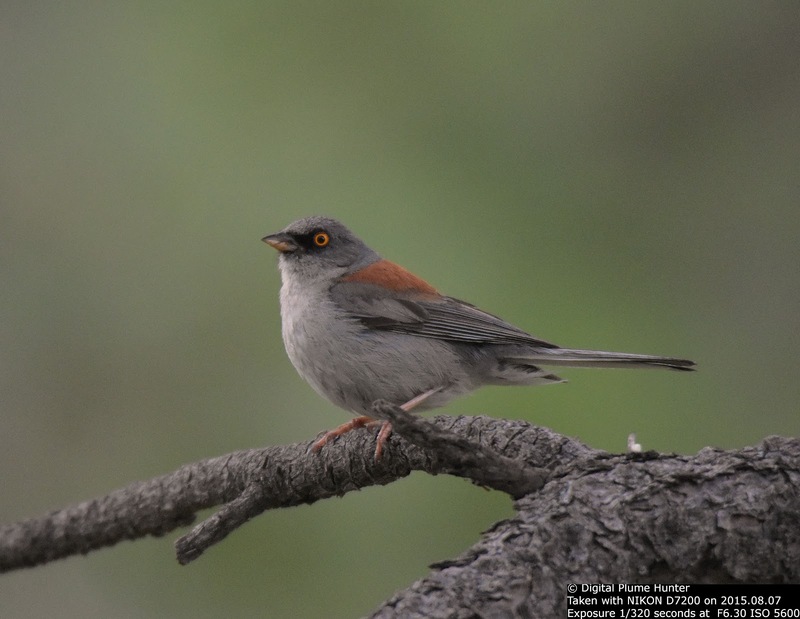 It has a grey body with olive-lime wings and tail. 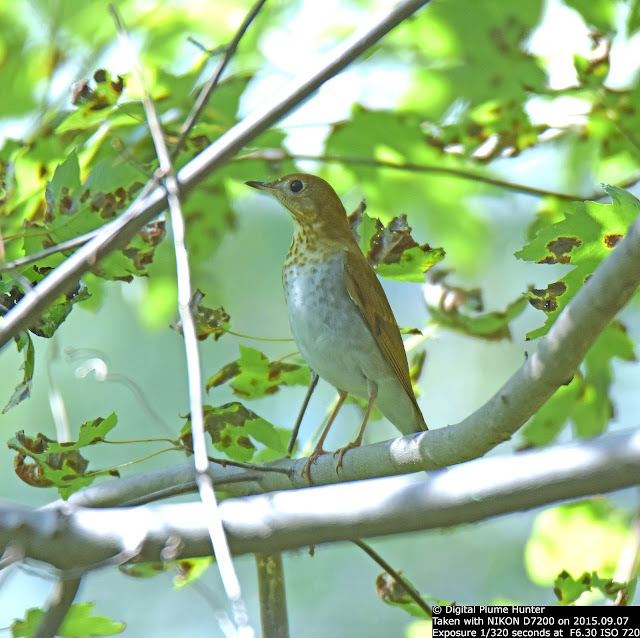 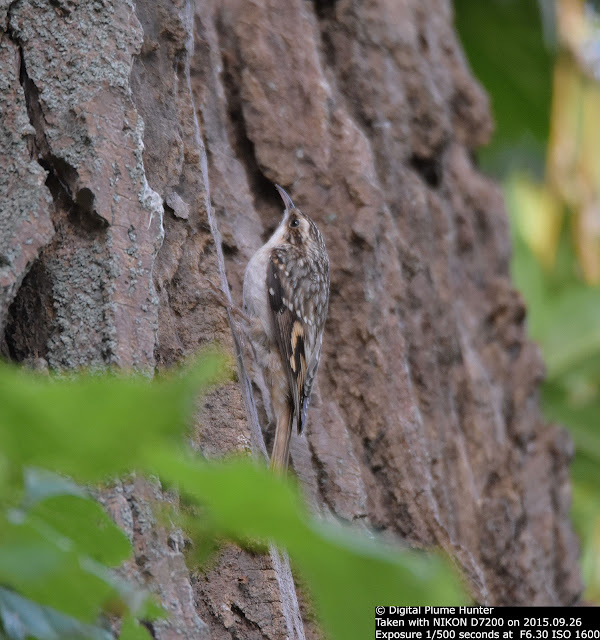 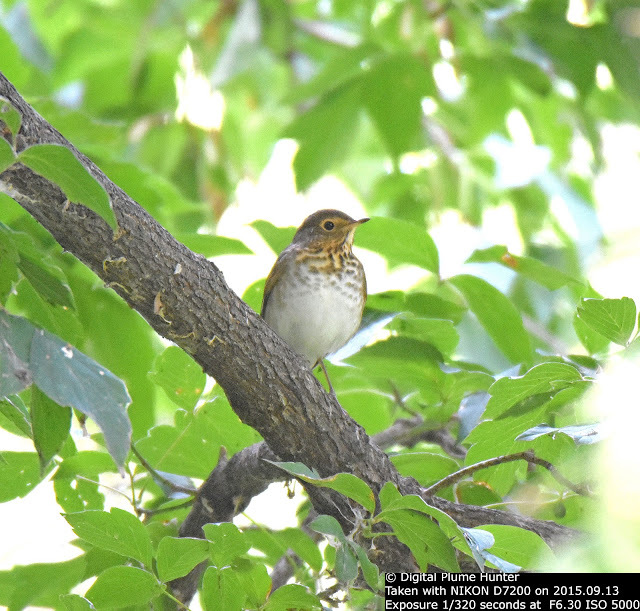 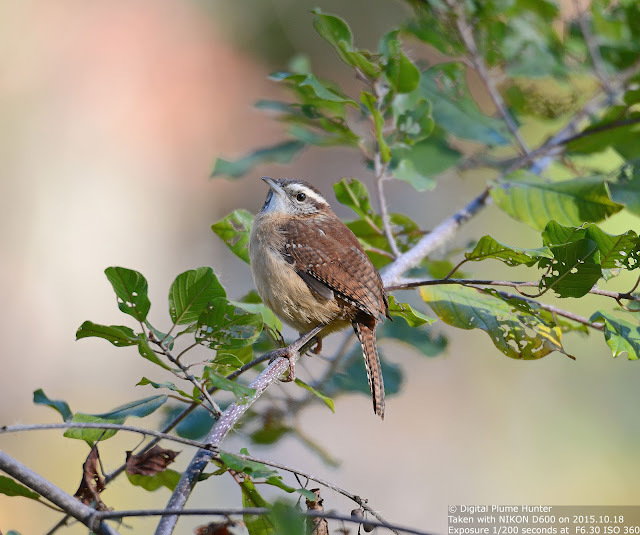 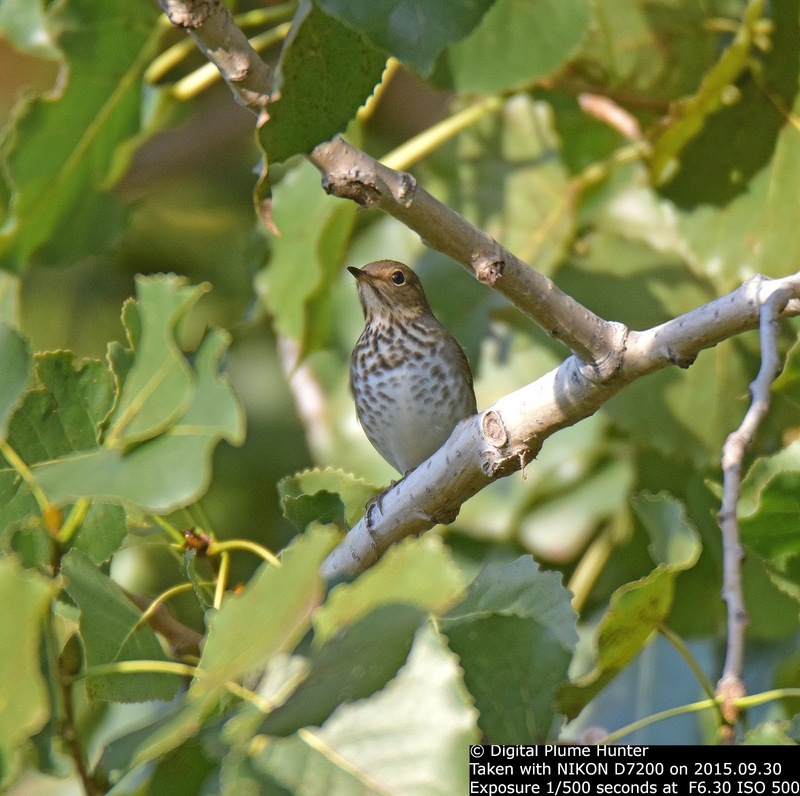 The throat is white and the crown is a bright chestnut. The Green-tailed Towhee is found in brush habitat where it likes to forage on the ground scratching for seeds or insects. 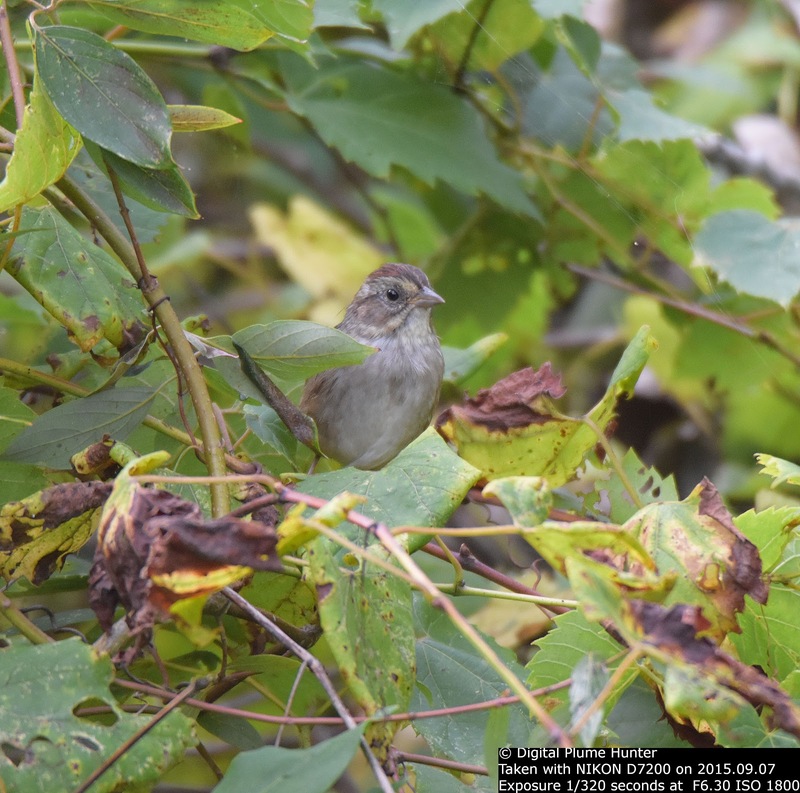 Green is an unusual color in sparrows (here in the US seen in this Towhee and the Olive Sparrow) and our remaining Towhees show mainly tans and browns. 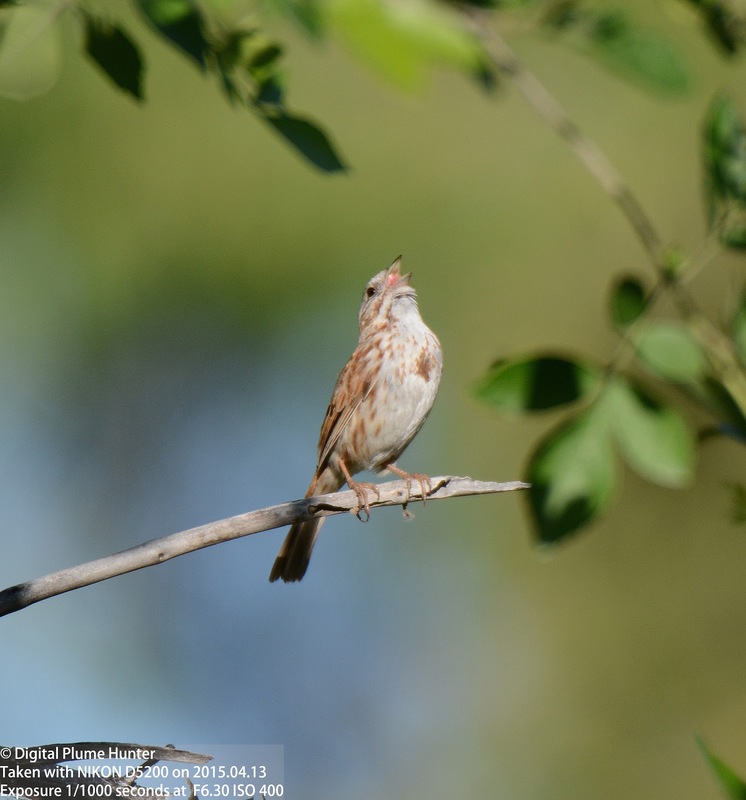 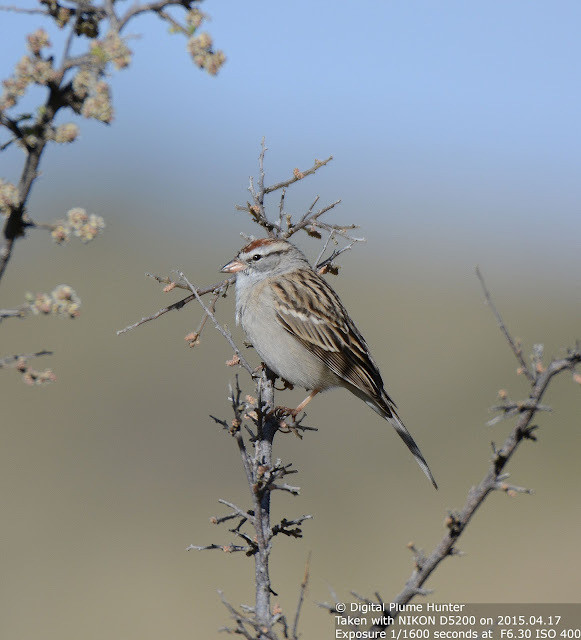 It's easy to see why these sparrows were considered to be the same species. 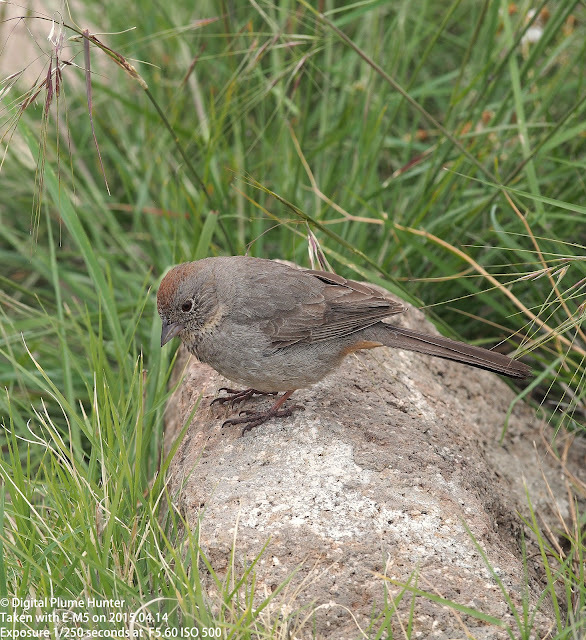 Canyon Towhee is found in Texas, Arizona and New Mexico. 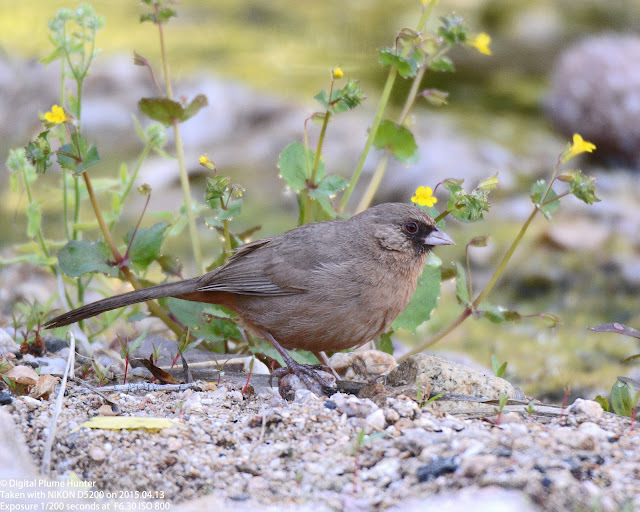 It has a similar taxonomic history -- it was earlier lumped with California Towhee into the unimaginatively sounding "Brown Towhee". 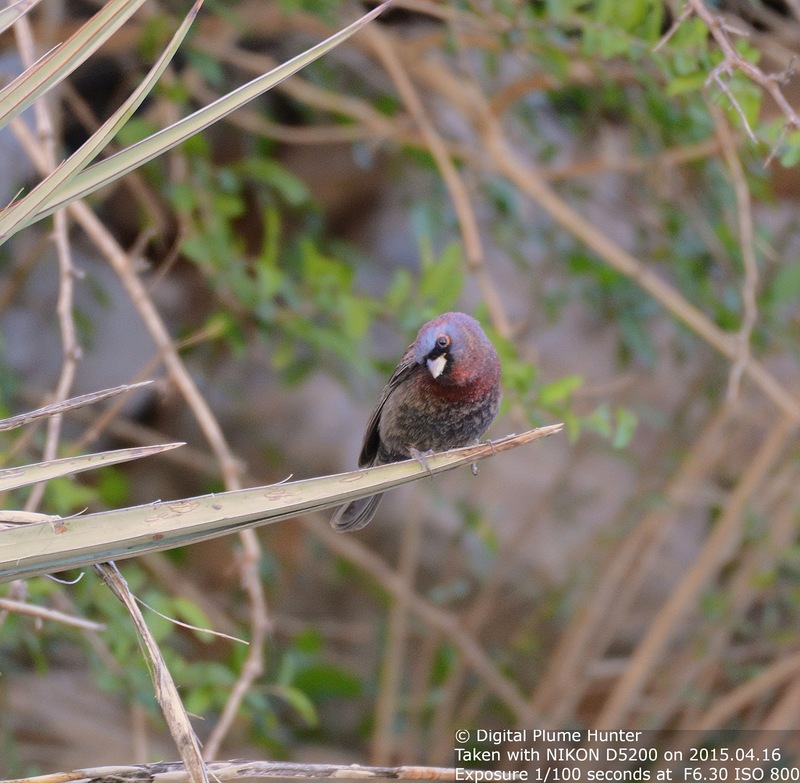 The black mask is diagnostic. 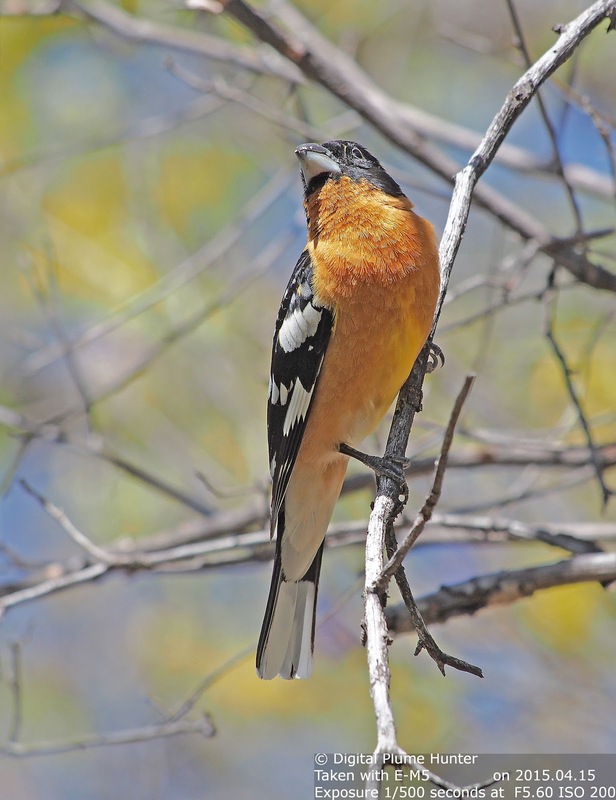 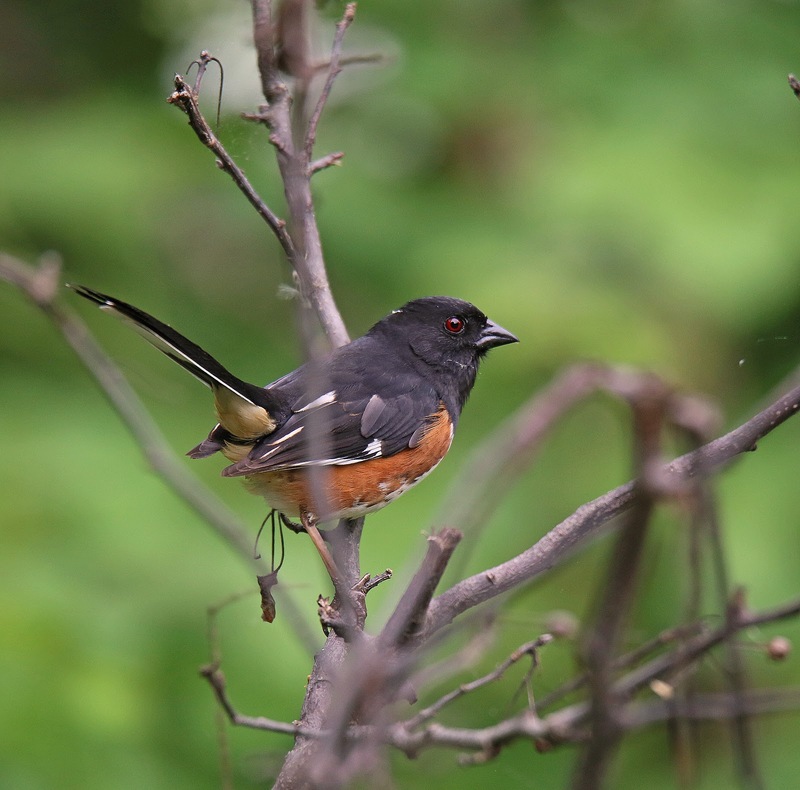 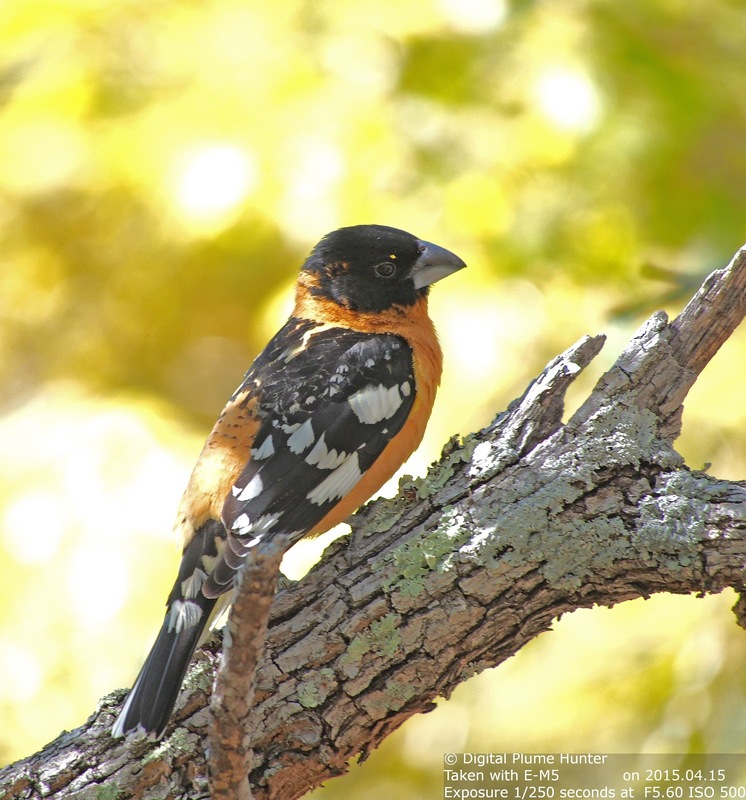 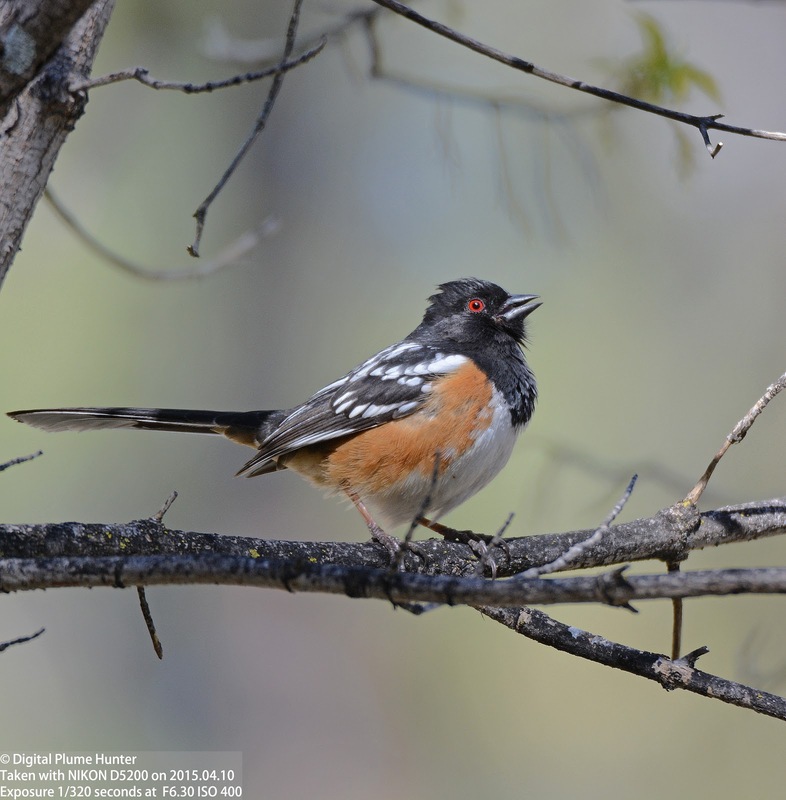 Unlike our other Towhees whose ranges extend well into Canada or Mexico, the Abert's range is almost entirely in the US Southwest with only a small sliver reaching over into Mexico. 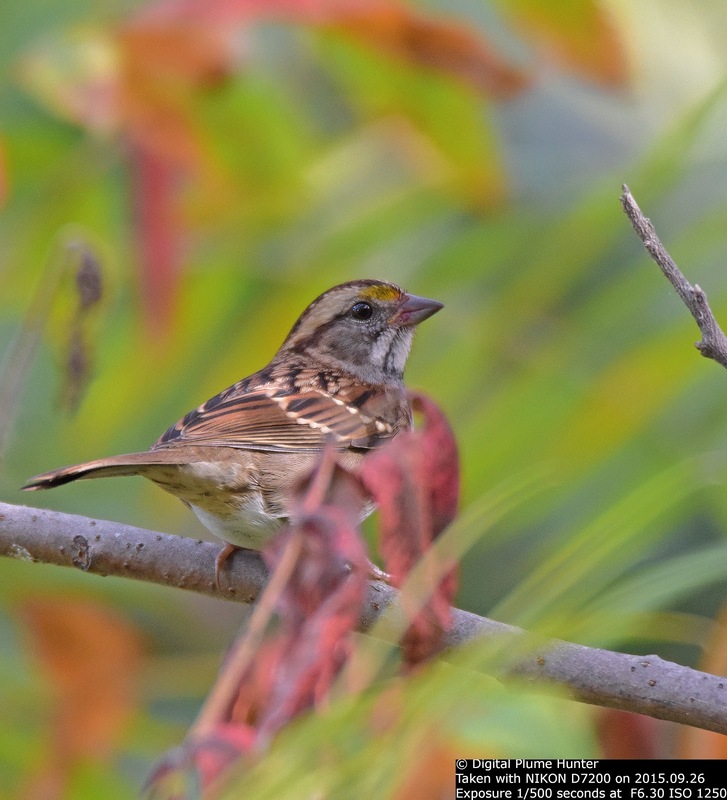 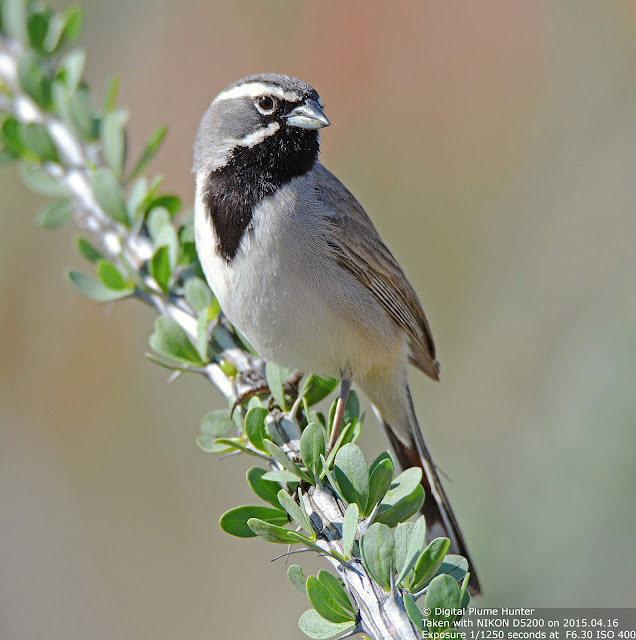 This gorgeous sparrow is unmistakable with a greyish-brown body, prominent black throat and a white "harness" pattern on its face. 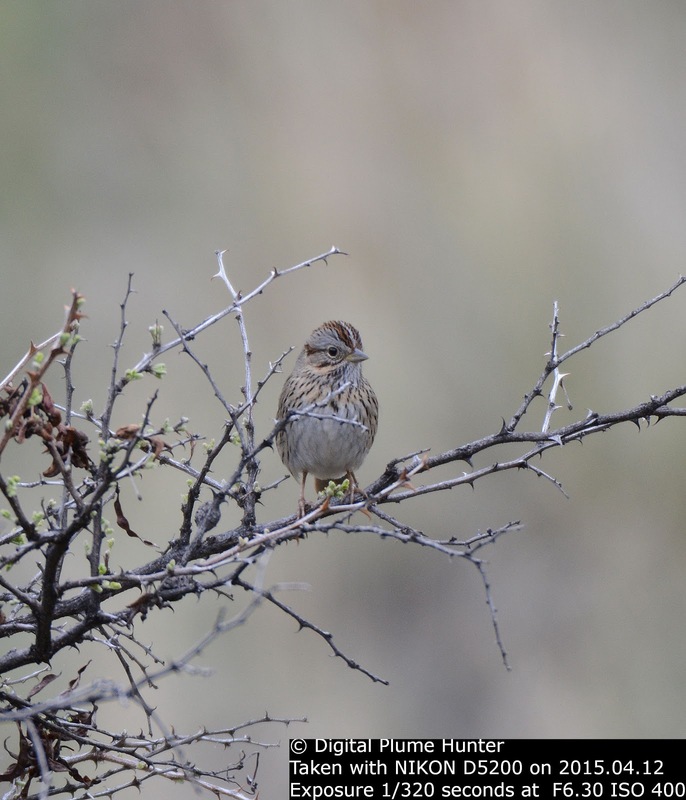 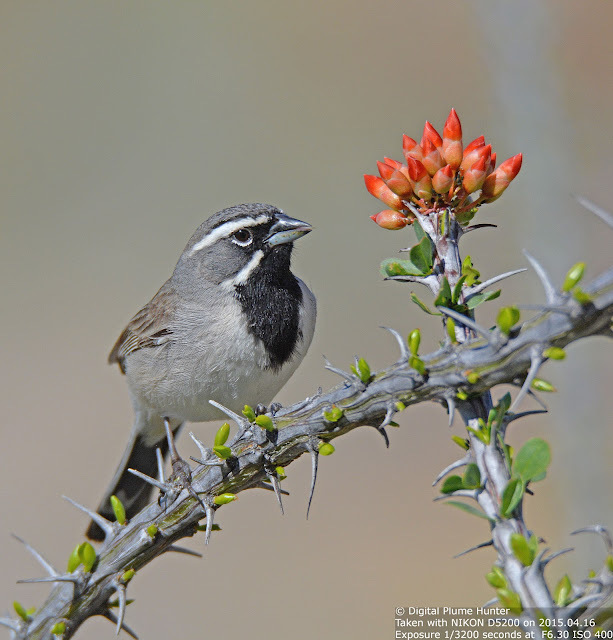 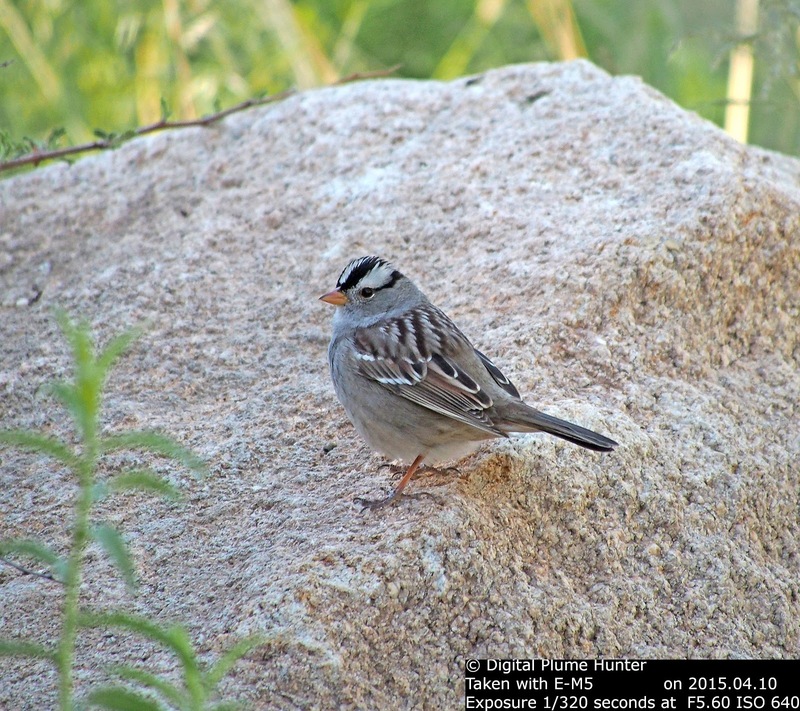 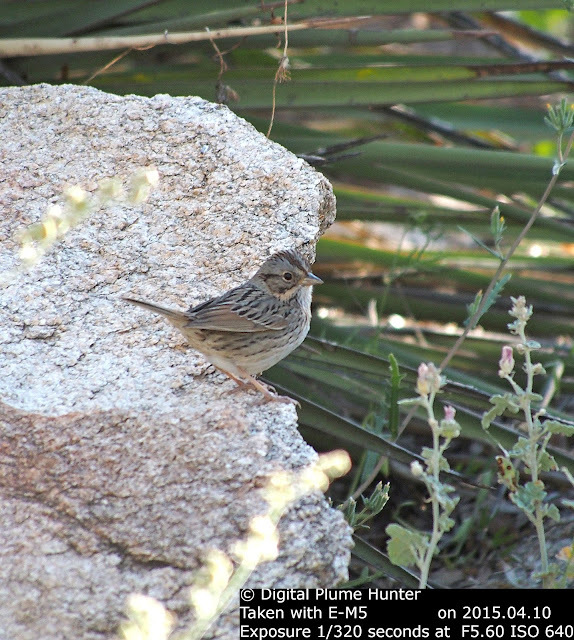 The similar sounding Black-chinned Sparrow also ranges in the desert Southwest but is not as commonly found; it prefers hilly habitat and is known for its "spinning coin" song. 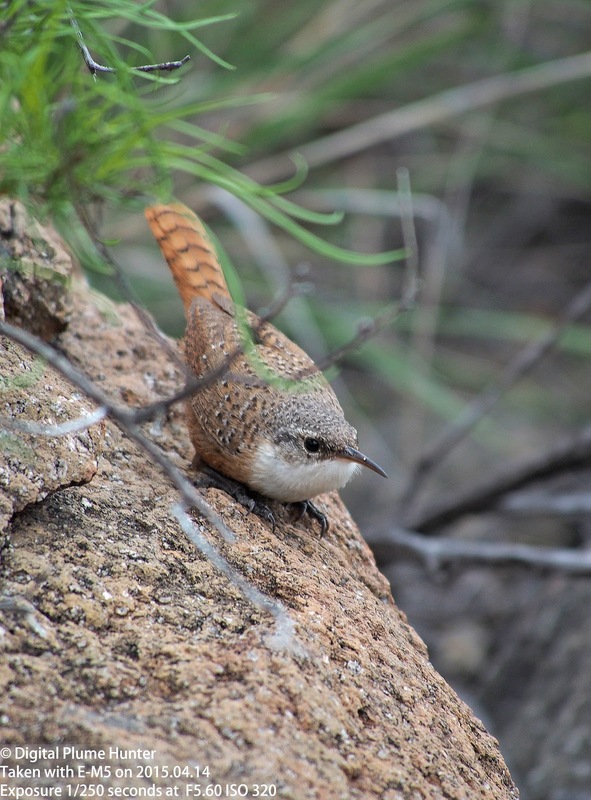 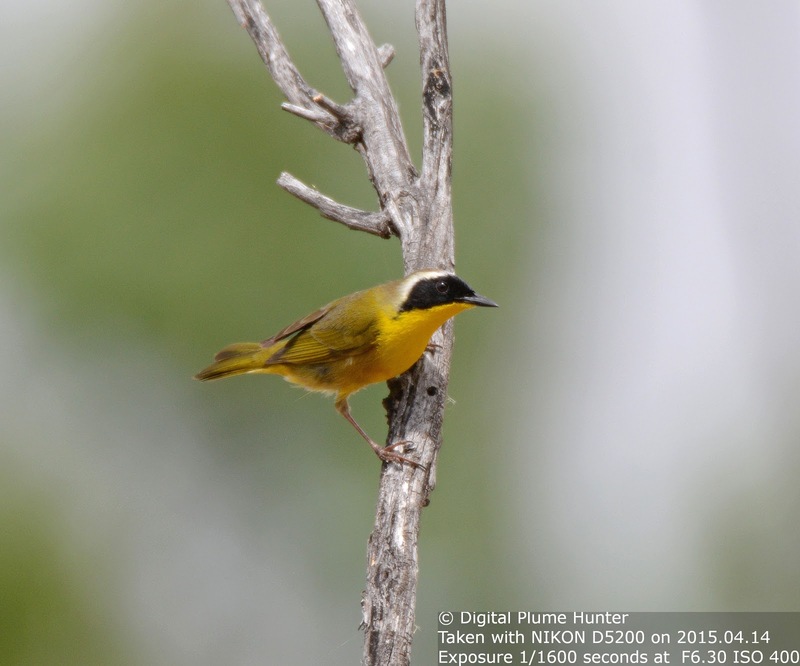 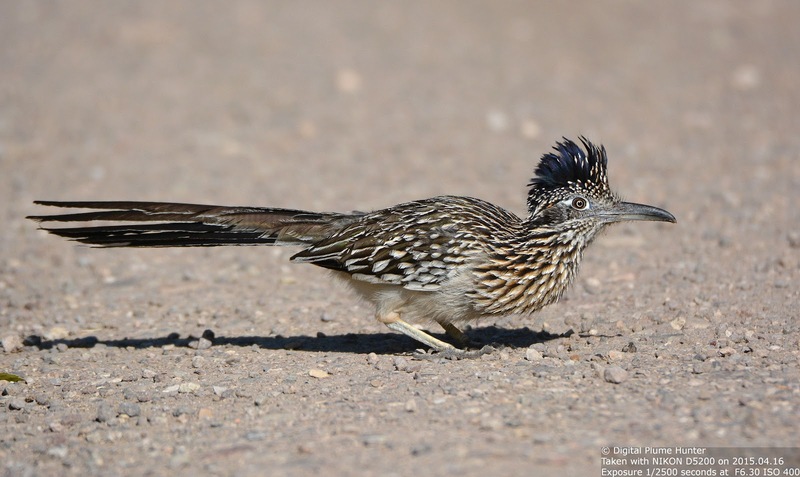 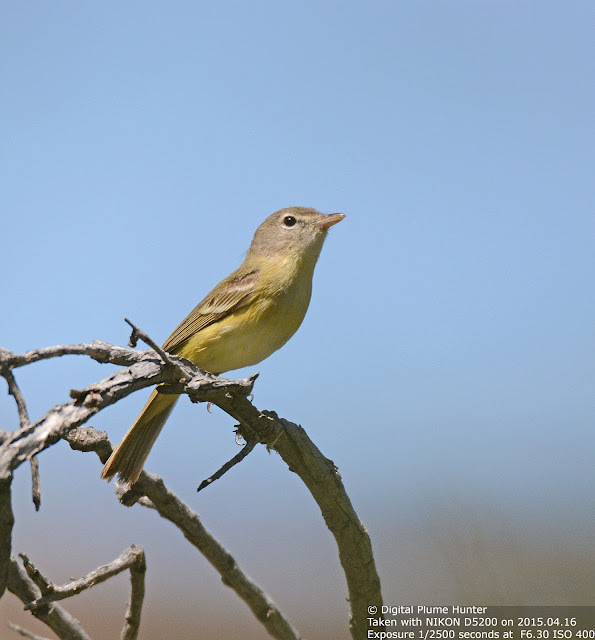 The individual pictured here was observed on the Laguna Trail at Big Bend NP. 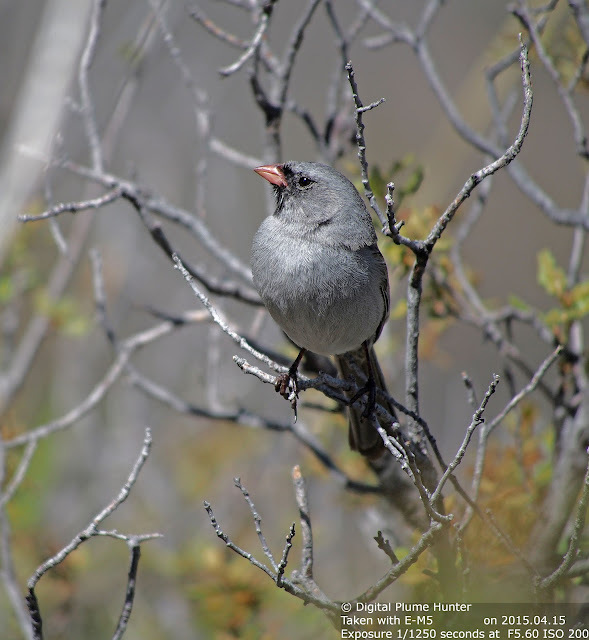 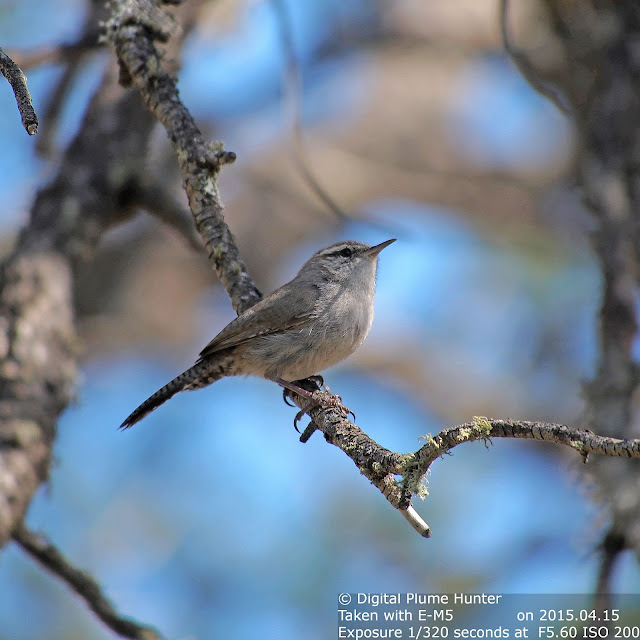 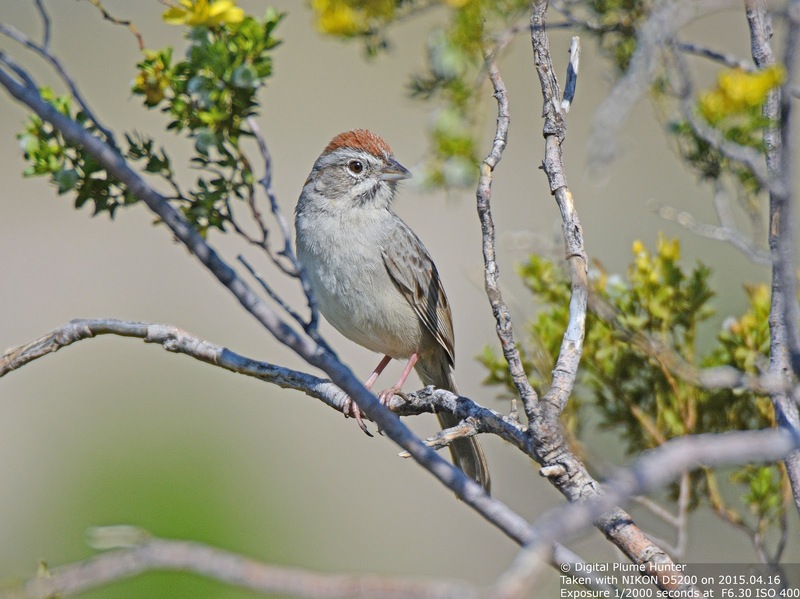 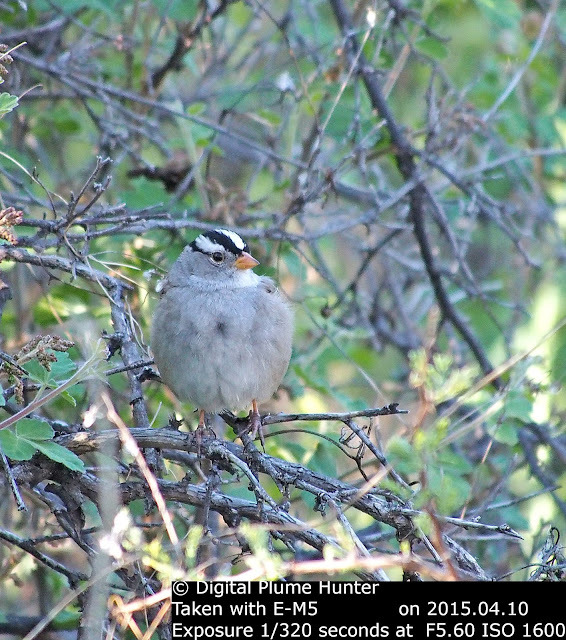 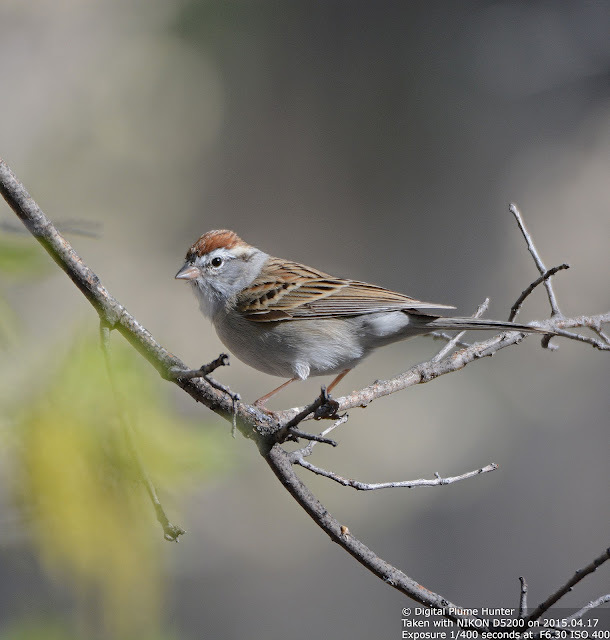 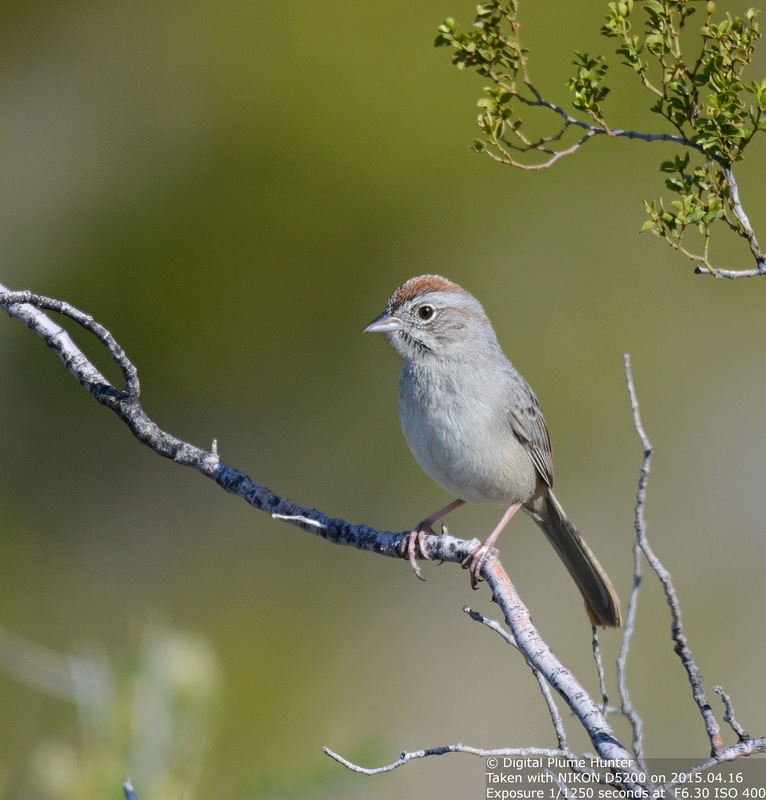 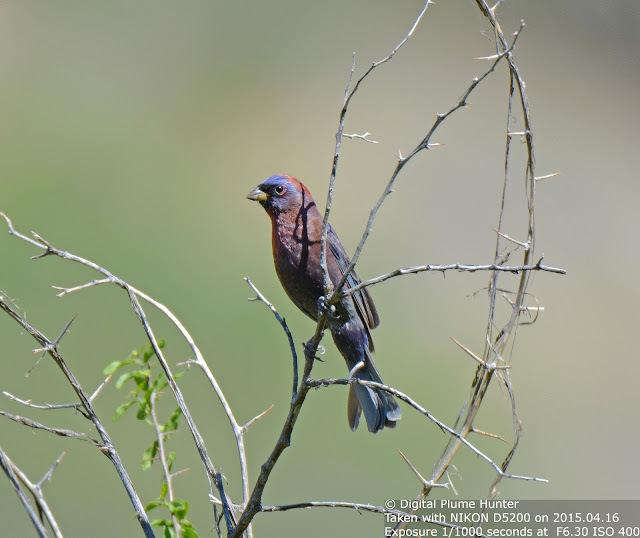 This grey sparrow with a prominent rufous crown is a specialty sparrow of the Southwest. 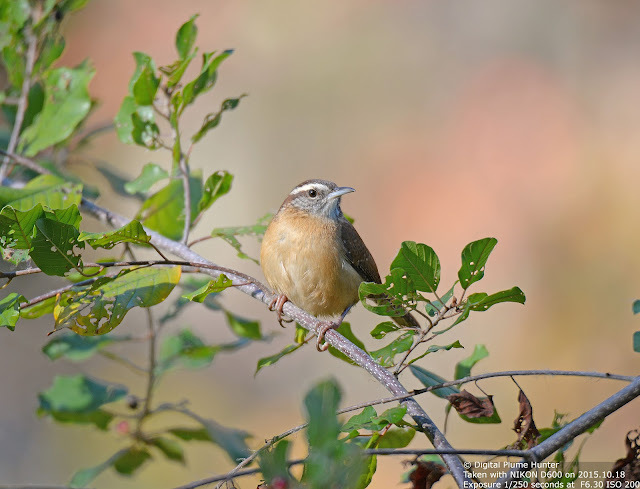 "Little Brown Jobs" -- a term used in identification desperation resulting from birds such as sparrows seems wholly inappropriate when confronted with spectacular sparrows and towering towhees that are found in our Southwest. America, as discovered at the advent of Western colonization, was no less than a "Garden of Eden" -- with unspoilt rainforests, grasslands, deserts and endless woods richly adorning the land. 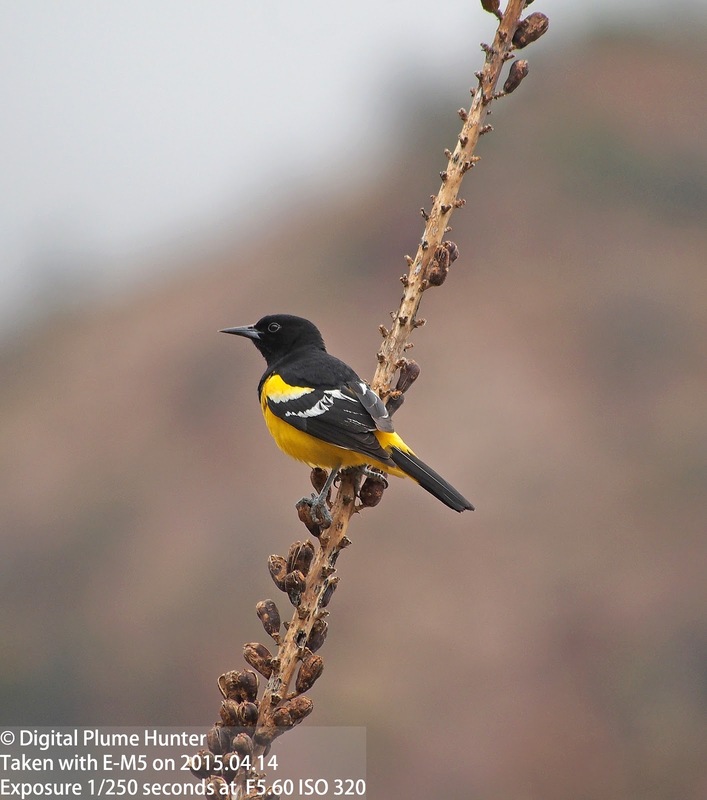 This pristine scenery hosted land and air migrations featuring thundering herds of buffalo and mega-flocks of pigeons that rivaled or exceeded the best that can be seen in wild Africa today. These grand spectacles of American Nature are no longer with us today; what remains of our earlier awe-inspiring ecosystems are preserved only as a pale shadow of their former glory in our National Forests and Parks that comprise about 15% of the country's total area. And, to visit these areas is the closest we can get to "time travel" -- to witness what this land was like before it was reduced to its present state. 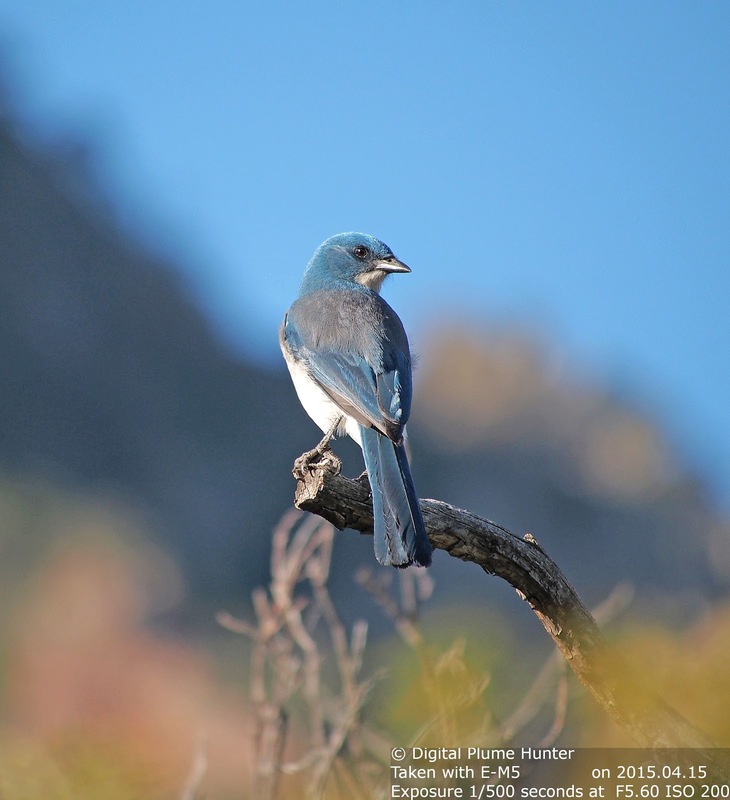 A state in which no land is left undeveloped, no tree uncut, no river undammed, no bird unshot and no animal unhunted. 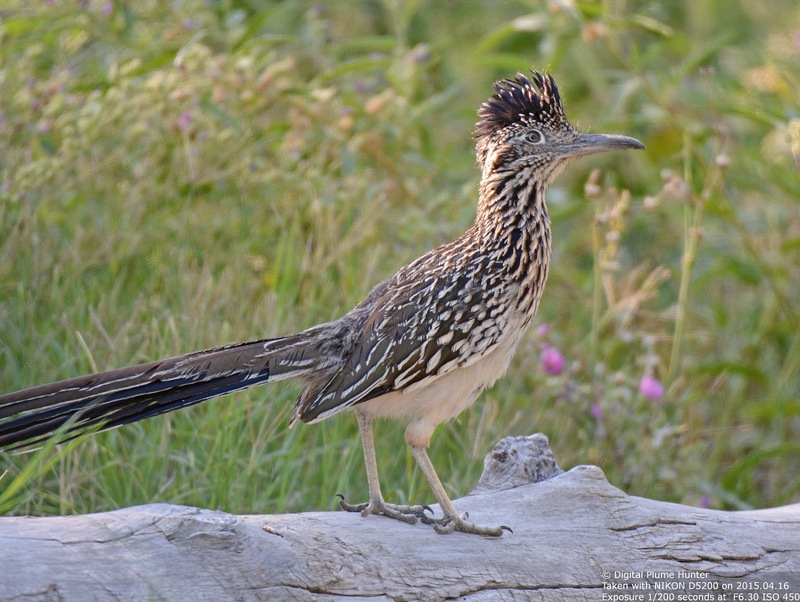 Without our National Parks, we would have nothing but strip malls, factory farms and endless suburbia; our sterile life would be devoid of the wealth of Nature's gifts that abound only in full wilderness. 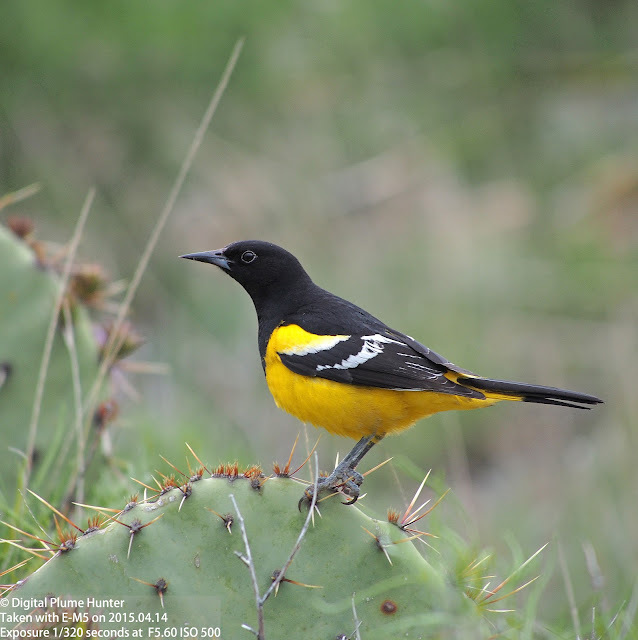 The first thing to strike the observer about this blackbird is the bright lemon yellow chest and underside of the male; as opposed to the orange hues commonly found in other orioles. 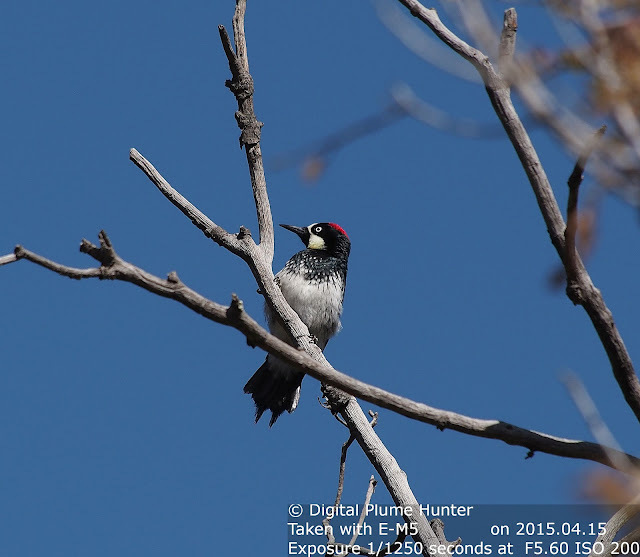 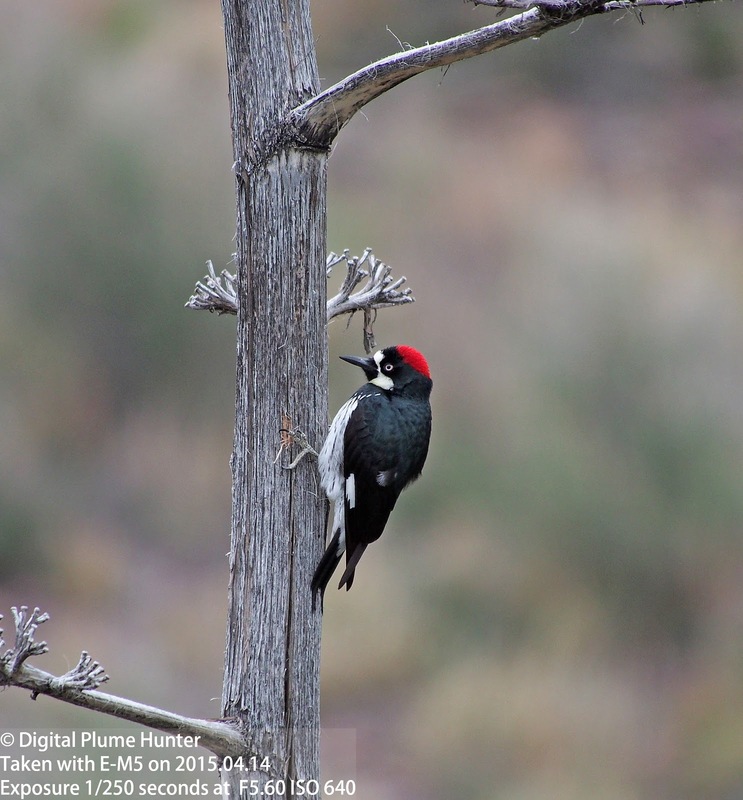 The Acorn Woodpecker is hard to confuse with any other species of woodpecker in our area with a face that has oft been described as "clownish". 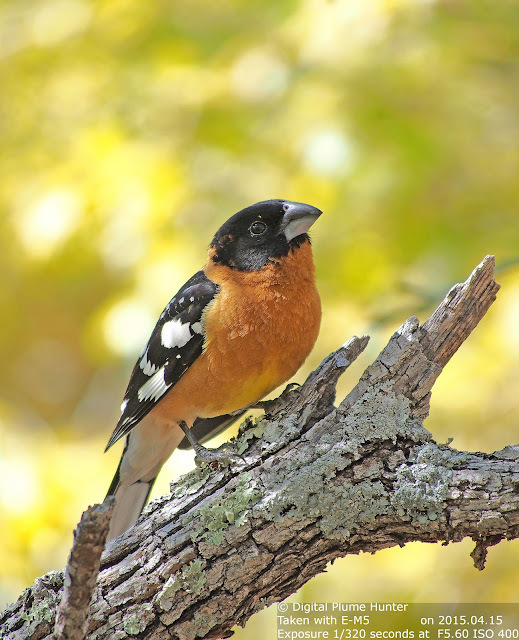 The females of the Black-headed and Rose-breasted Grosbeaks are indistinguishable. 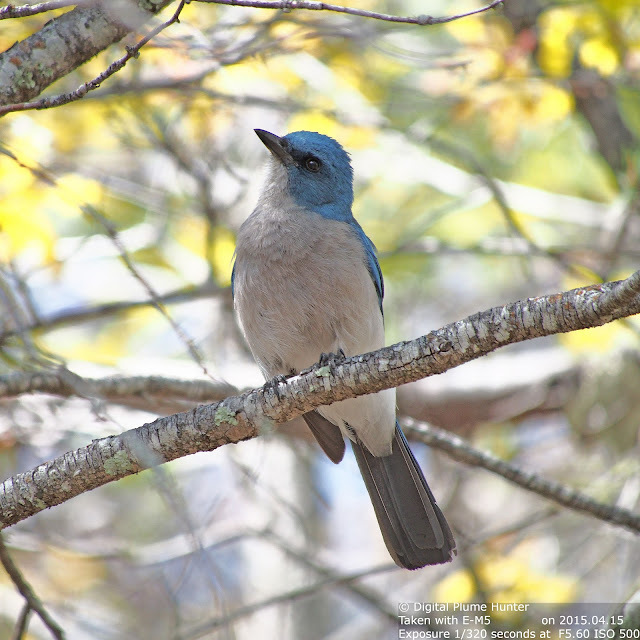 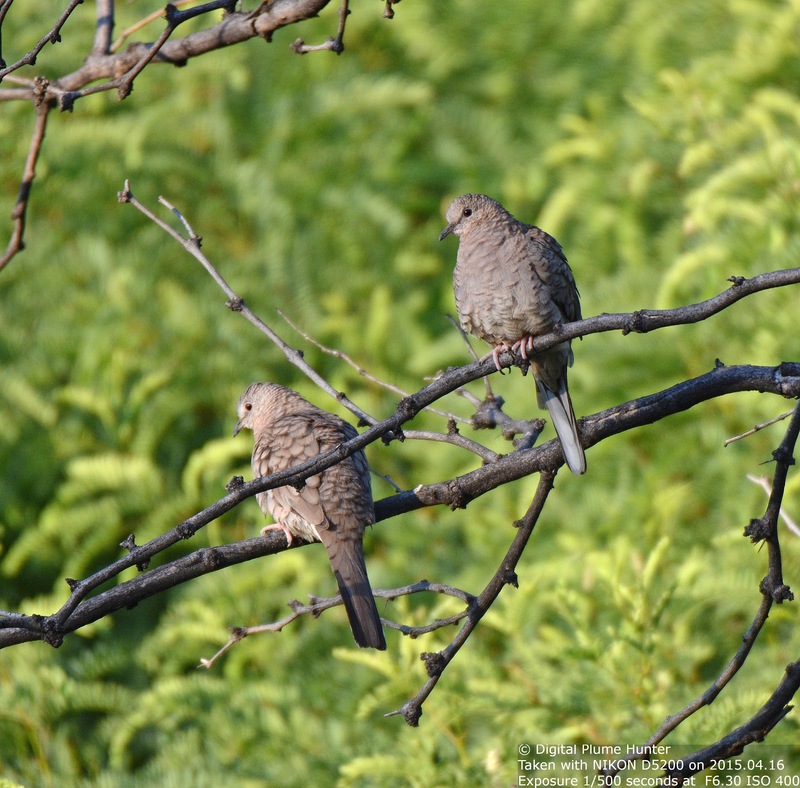 The two species are known to hybridize where their ranges overlap. The race seen here shows a lot more yellow than what's seen in the rest of the country. 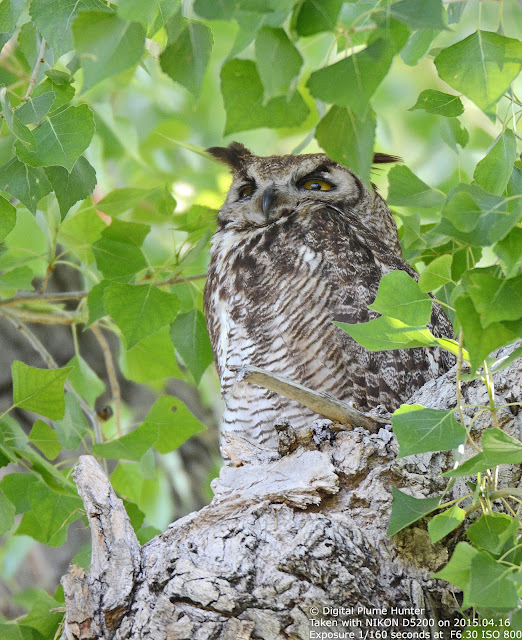 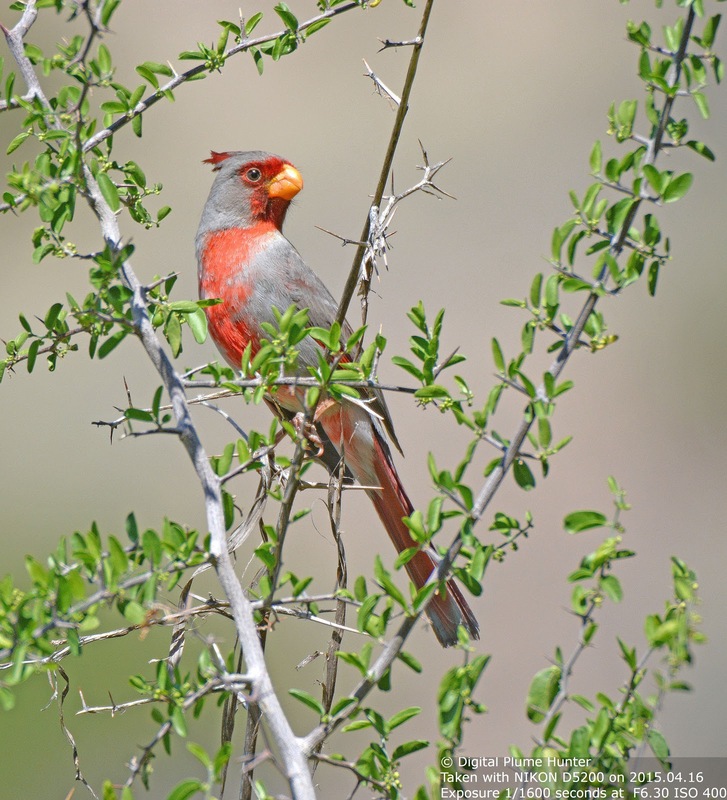 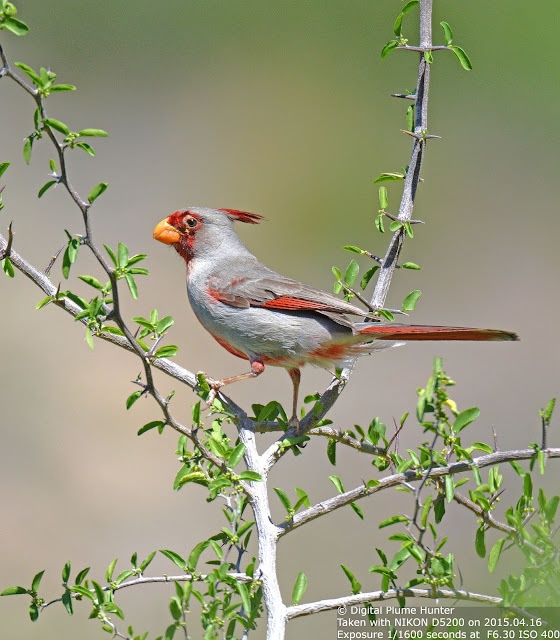 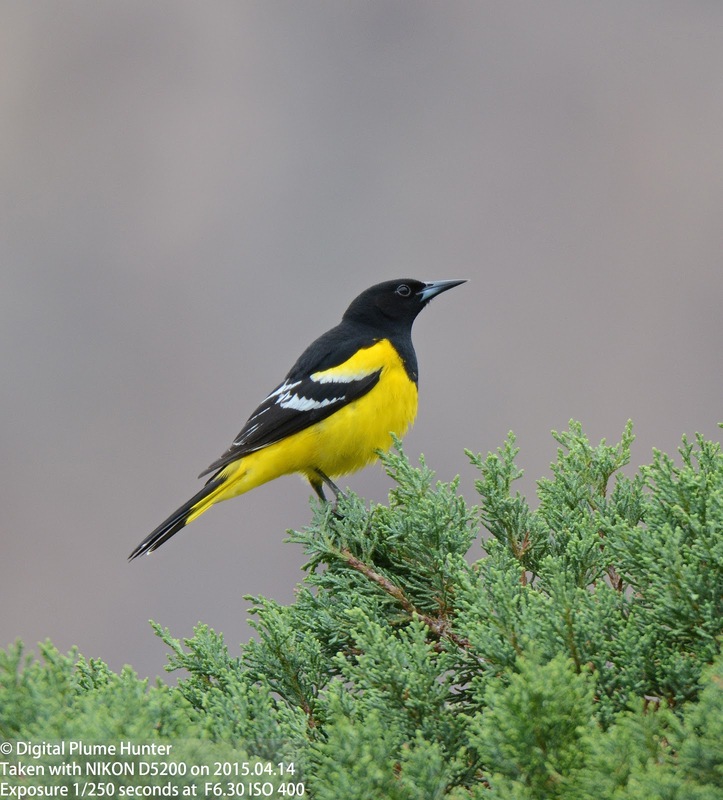 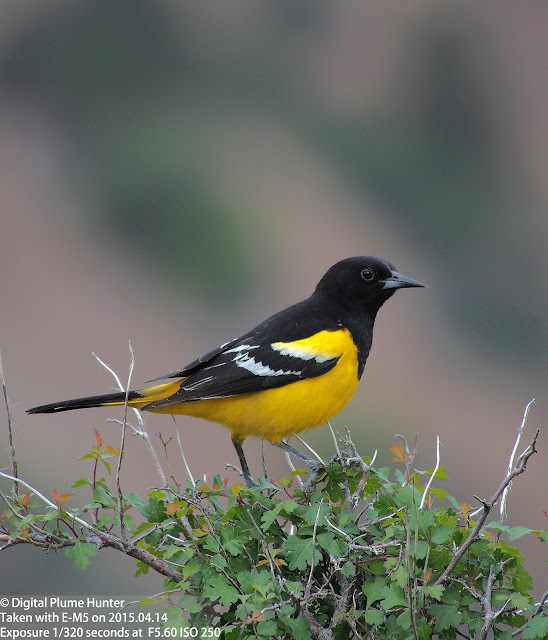 About 450 species of birds can be found at Big Bend National Park. 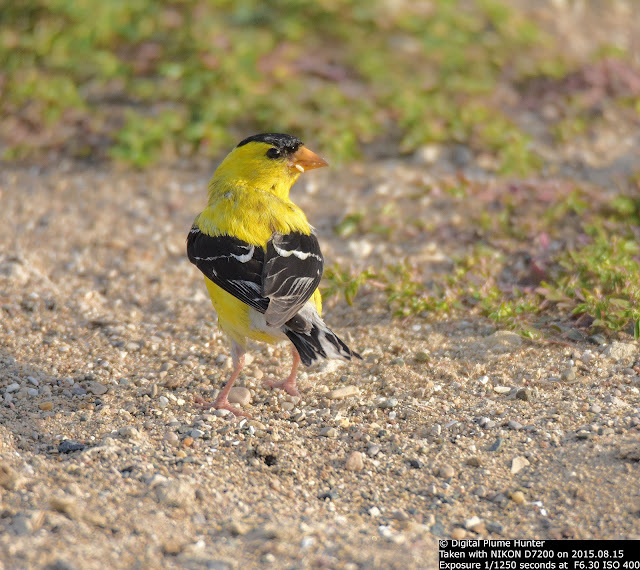 Even a short visit to this island will offer rewards to the intrepid birder.